The 'Learn To Love Again' stars say they are "delighted" to be playing the event for a second year in a row. Lawson have been added to the line-up for this year's Hard Rock Calling Festival 2013. The event will be headlined by Bruce Springsteen & The E Street Band on Sunday 30th June with Kasabian taking top billing the night before. "Absolutely delighted to be playing @HardRockCalling for a second year," the band tweeted last night. Lawson will be performing on the Sunday, which also includes sets from the likes of The Black Crowes, Alabama Shakes and Zac BrownBand. This year's Hard Rock Calling will also be the first festival performance at the Queen Elizabeth Olympic Park. 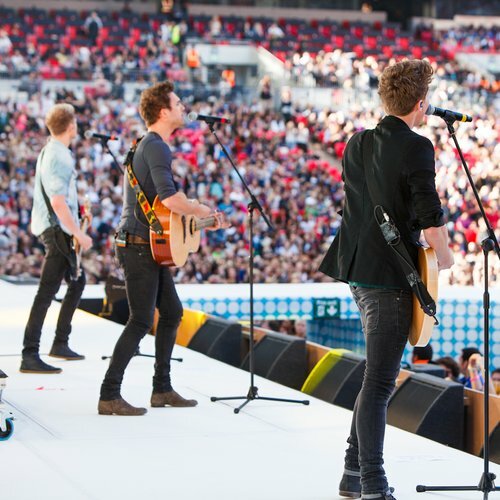 Next month will also see Lawson head to Wembley Stadium for Capital FM's Summertime Ball 2013.